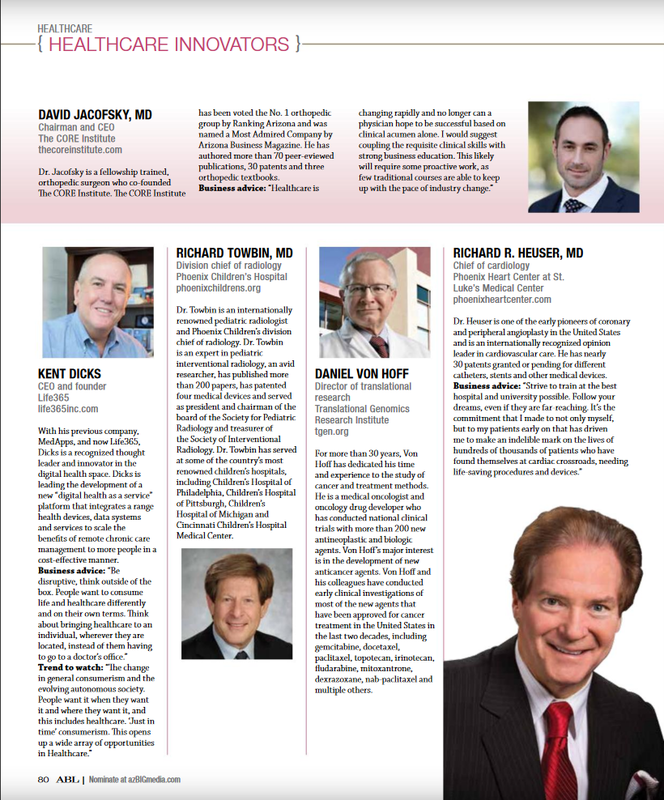 Dr. Heuser is one of the early pioneers of coronary and peripheral angioplasty in the United States and is an internationally recognized opinion leader in cardiovascular care. He has nearly 30 patents granted or pending for different catheters, stents and other medical devices. After Dr. Heuser’s invention of the first covered stent, it is great to have a second covered device based on our original innovation. Should your needs move beyond services provided within our practice, we are proudly affiliated with Mountain Vista Medical Center, Tempe St. Luke’s Hospital & St. Luke's Medical Center.